As a staple aircraft in the Gulfstream family, the G400 is a heavy jet providing constant reliability and unbeatable performance. First delivered in 1987, the Gulfstream G400 has been a favorite among the aviation community ever since. Seating 10 to 12 passengers, the G400’s stand-up cabin is both spacious and comfortable. 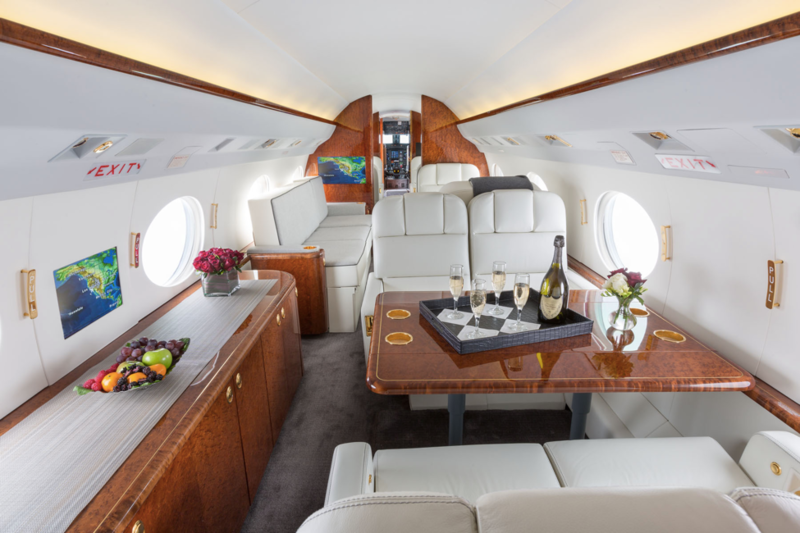 With over six feet in height, over seven feet in width, and over 40 feet in length, there is an abundance of room on board the G400 which is perfect for working or relaxing. Natural light flows through out the three zone cabin due to the 12 Gulfstream panoramic windows. 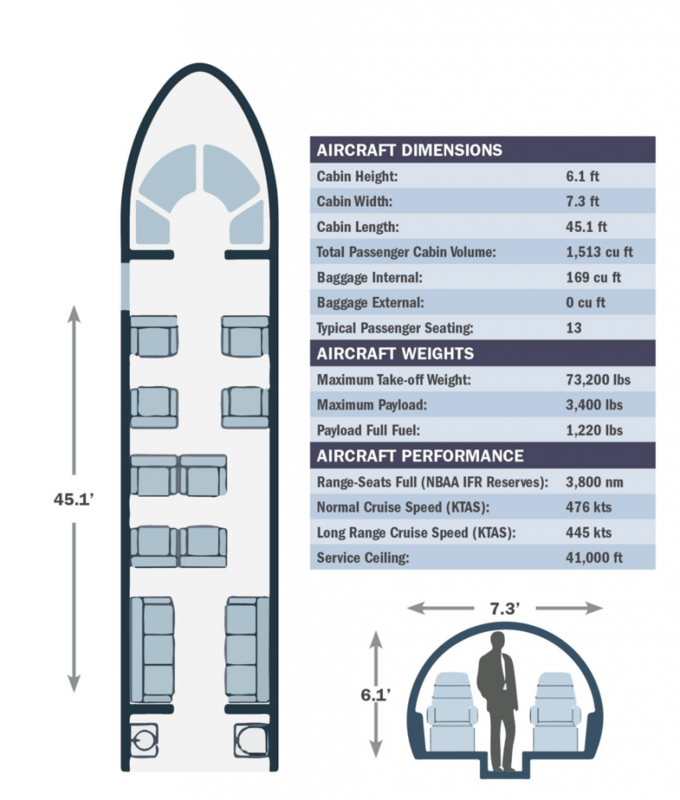 Additionally, the internal baggage volume of the G400 is 169 cubic feet, offering more than enough space for passenger luggage. 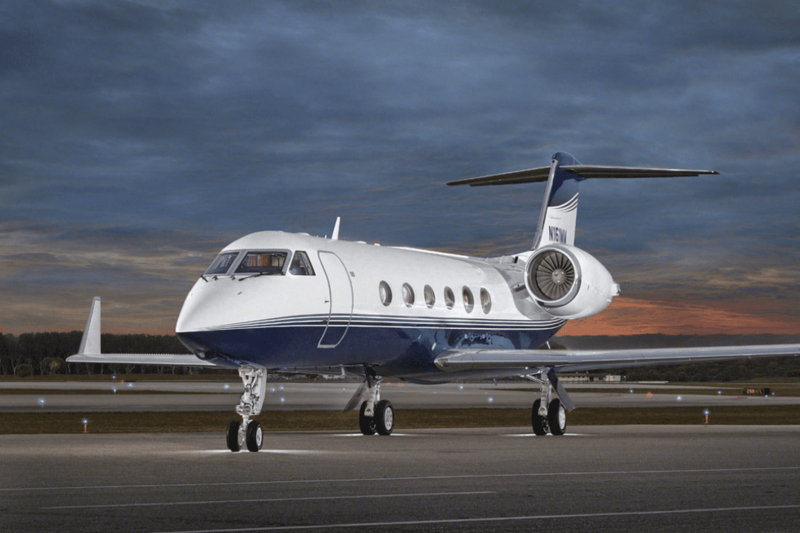 The Gulfstream G400 is immediately recognizable by its low swept wing with winglets, its swept T-tail with horizontal stabilizer, and its two powerful rear fuselage mounted engines. The technical advancements of the Gulfstream G400 are due largely in part to the two Rolls-Royce MK 611-8 engines that power this jet above and beyond the previous fuel consumption rates, by a 15% improvement margin. With these engines, the Gulfstream G400 will fly at speeds up to 505 knots and has a range of 4,220 nautical miles. The G400 has employed several systems that improve pilot maneuverability and ease of flight. The Collins radios, FMS, and dual Honeywell laser inertial reference systems are the most notable. 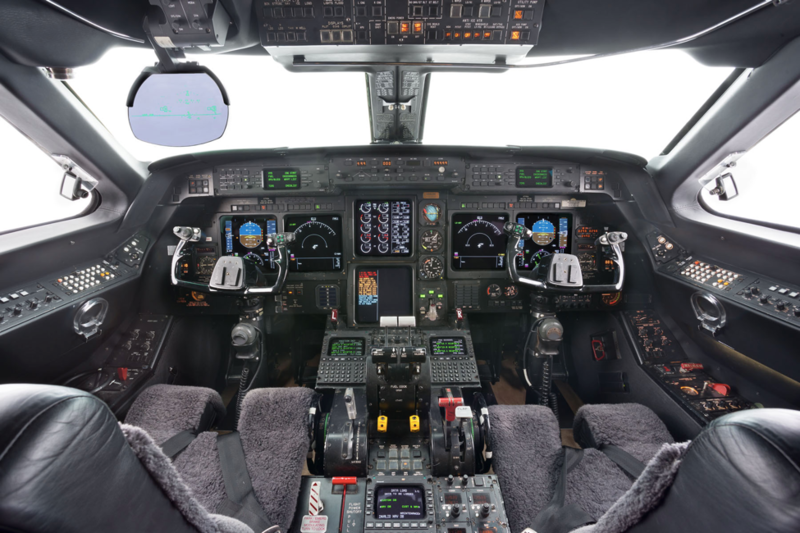 This jet also includes Goodyear Aerospace’s brake-by-wire system and a Dowty fail-passive steer-by-wire system, and is the first of the Gulfstream family to put this system to use. Without fail, the Gulfstream G400 continues to deliver seamless flights since its introduction to the aviation community.